BlackRapid joins U Pick ‘em Contest! Black Rapid joins U Pick ‘em Contest! 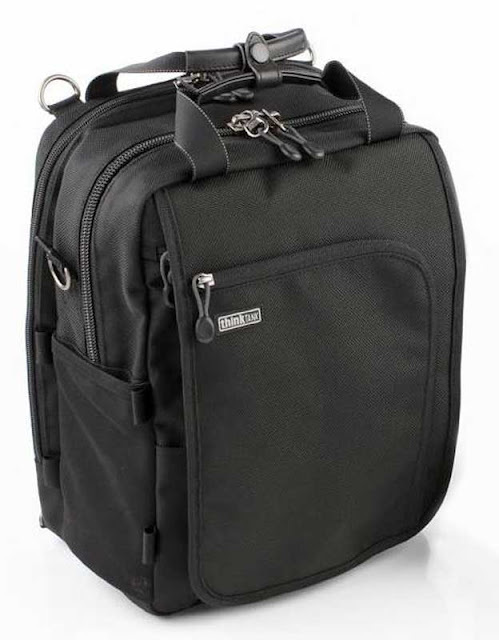 First place is now the Think Tank Photo Urban Disguise® 35 V2.0 and the Black Rapid RS-7s camera strap. With over 150 entries Think Tank Photo has offered for second place the Hydrophobia® Flash 70-200. If the blog ALDIAZPHOTOblog.com hits 200 entries with comments TTP will toss in the Digital Holster™ 10 V2.0 for a third prize! So tweet, post, facebook it etc. to spread the word and increase your chances to win more prizes! Here is the link for rules to enter U Pick 'em contest. 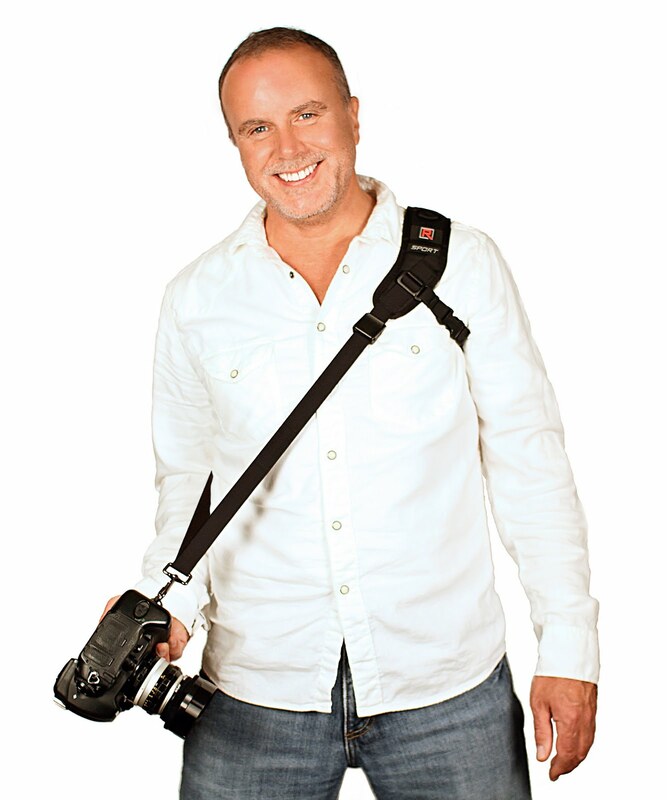 Founded in 2008, Black Rapid is a manufacturer of innovative and creative photography products including the wildly popular R-Strap. The company focuses heavily on responding to customer input to create the most comfortable and functional equipment. After years of shooting the Seattle music scene, weddings, and other dynamic environments, Ron Henry had a flash of brilliance that would turn the camera world upside down. 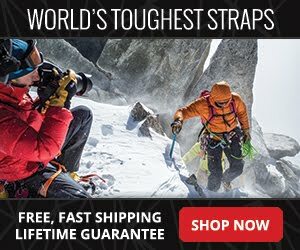 No more straps sliding off your shoulder. No more fumbling around, wasting time, or neckaches. Like a few of history’s most inspired inventions (the wheel, pre-grated cheese, the bug zapper, etc. ), the concept is so simple it evaded everyone… until now. Your camera hangs upside down, ready to maneuver into position at a moment’s notice via a sliding ConnectR that allows the camera to move freely while the strap stays put. Like a true revolutionary, Ron shared the wealth (so to speak) and started BlackRapid Inc. to ease the pains of the people. In a class of its own, the R-Strap is here to stay. The man who proved Bon Jovi is not dead, goes on to photograph a legend photographing a legend. David Bergman, en route to becoming a legend himself, shhh… don’t tell him I said that, accompanied photographer Neil Leifer to photograph Muhammad Ali for the boxing legends 70th birthday. 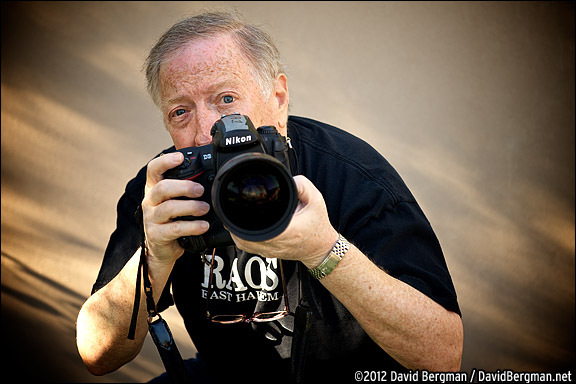 Bergman, a former Miami Herald staff photographer who is now a New York action photographer and video producer, spent three days providing technical assistance for Leifer who was on assignment for Sports Illustrated. Leifer is considered one of the best sports photographers in history. Then there is last month. 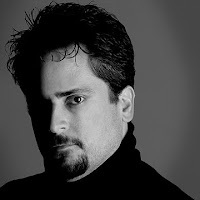 Bergman proved everyone wrong when rumors of the death of Bon Jovi circulated the internet. As the rock star legend's tour photographer Bergman simply shot a few quick frames of Jovi still living on this planet. He then posted it to his Twitter feed and Facebook page. The picture went viral with millions viewing the image on the Internet. Here is Bergman's back story on shooting legends. 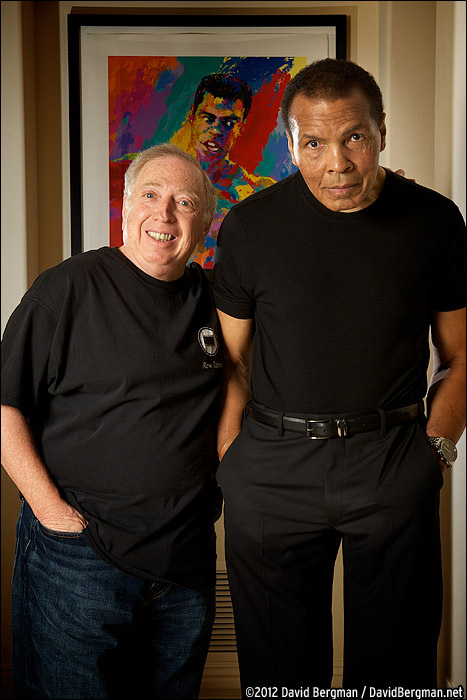 I haven't been a photo assistant in a long time, but when Neil Leifer asked me to help him photograph Muhammad Ali, I jumped at the opportunity. Ali turned 70 years old this week. Whatever you think of his political or religious beliefs, there's no denying his status as a cultural icon. At one point, he was considered to be the most recognizable person in the world. Neil Leifer's career will forever be tied to Ali's. If you don't know him by name, you've definitely seen Neil's iconic photograph of Ali standing over Sonny Liston during their fight in 1965. Ali knocked out Liston with one punch during the first round. I helped Neil make the transition to digital photography a few years ago for a special project and am proud to call him a friend. 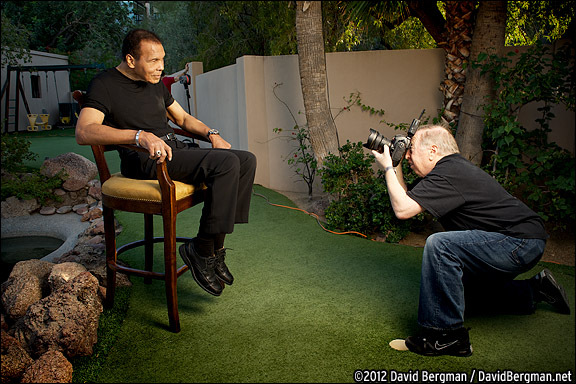 He's a filmmaker now and rarely picks up a still camera, but with the birthday just around the corner, Neil ventured to Ali's house in Arizona to make rare portraits of the man at home for Sports Illustrated. He asked me to come along and help with the technology. I certainly wish I could have covered Ali in his prime, but it was still an amazing experience to finally meet the man. He is a kind soul who is respected everywhere he goes. One night at a restaurant, everyone stood and applauded when Ali came in the door. His 30-plus year battle with Parkinson's disease is well documented and it makes photographing him more difficult than in the past. But Neil and Ali are old friends, so they were able to make some classy, timeless photos over the course of the three days we spent out west. 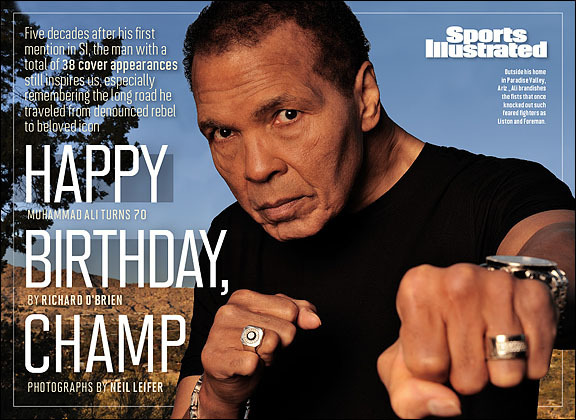 You can see Neil Leifer's new photographs of Muhammad Ali on SI.com and in this week's Sports Illustrated magazine. Think Tank Photo Sweetens the Prize! Great news! 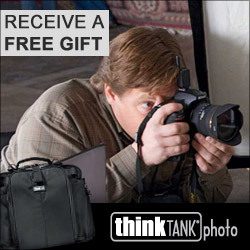 Think Tank Photo has just thrown in more prizes for my Think Tank Photo U Pick 'em Photo Contest! There is one catch. The post must hit 150 entries with comments to add the Hydrophobia® Flash 70-200 for second place valued at $145.75. If we hit 200 entries with comments the Digital Holster™ 10 V2.0 valued at $49.75 will be added for third place! First place is the Urban Disguise® 35 V2.0 So tweet, post, facebook it etc. to spread the word to increase your chances to win more prizes! Here is the link for rules to enter the contest, ENTER HERE! Don't forget to leave your name and e-mail when you post. 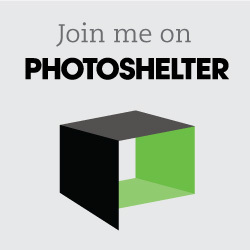 U Pick’em Think Tank Photo Contest! Sometimes it’s tough. Crunched on deadline you must pick a frame. A quick burst of the motor drive on the Canon EOS 1D Mark IV and you can end up with a lot of frames to choose from. Usually, one frame captures that decisive moment that sports photographers strive for. Then there are times like this at the Orange Bowl football game where the choice is not so clear. Do you select the peak of the moment of the player getting lifted? The aesthetics, expressions or readability of the image? I can go on but I’ll let you tell us which one of the top three photographs you would select to publish and why. Comment on my blog to enter the contest for a chance to win a FREE Think Tank Photo Urban Disguise® 35 V2.0 valued at $159.75! A random winner will be selected on January 31, 2012. 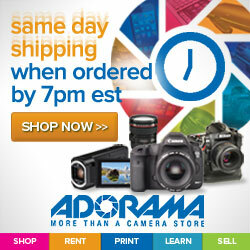 Free shipping within the US mainland. All others must pay the postage through my PayPal account. Charles Trainor Jr. and I covered the West Virginia game against Clemson at the 2012 Discover Orange Bowl, Sun Life Stadium in Miami Gardens on Wednesday night, January 4. Both teams lit up the scoreboard but in the end the Mountaineers' offense crushed the Tigers 70 - 33.